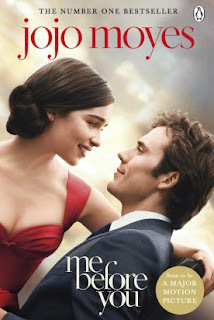 Me Before You - Thought provoking. I confess, when I saw this film in the shops, I didn't rush to get it, although I think the actors are great. I also confess I hadn't heard of the author or the novel. However, when I finally bought the film, I found that it was the most affecting, thought-provoking story I had seen for a long time. Of course, I then had to read the novel. It, too, did not disappoint. Awesome! Have you seen read this? Did it have the same affect on you?